Yes, it’s Sunday. A perfect day for lounging, breakfast in bed… tea and the Sunday paper, looking out at the cold snow. Feeling warm and cozy. 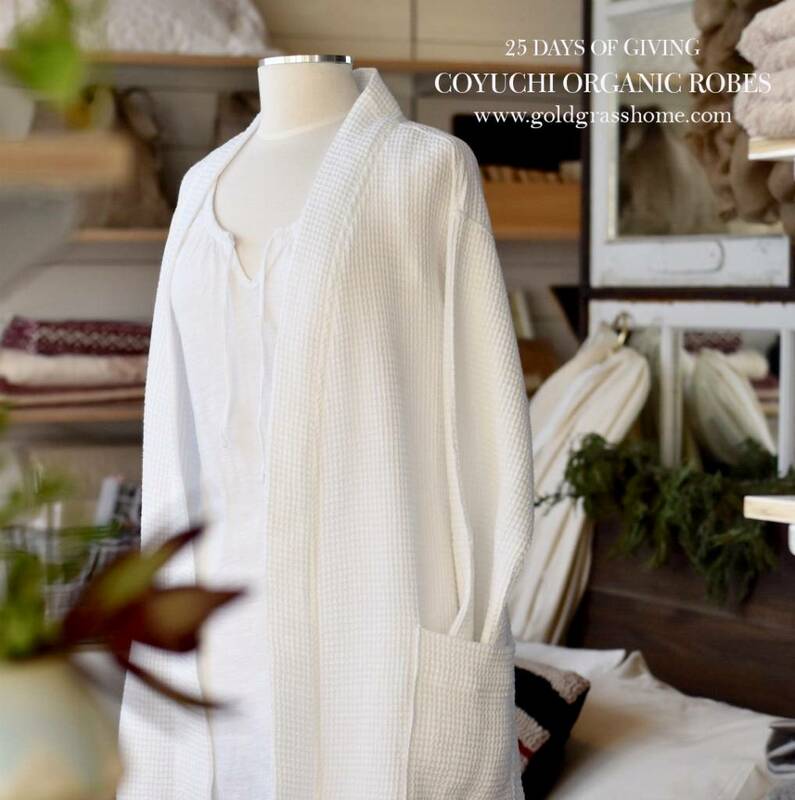 Especially all wrapped up in a luxurious Organic cotton robe from our friends at Coyuchi. How about that for a gift? The gift of quiet, cozy Sundays; peaceful moments; special times… Who wouldn’t love a bit of that, from time to time in our hectic world? Getting down to the last few days on the 25 days of Giving Campaign. Last few days to take advantage of these daily deals, and joining us on the giving campaign. But don’t stress. That’s why we’re here. By taking part, you’re not only getting awesome natural gifts for friends and family, and helping us support a great cause, you also get 10% off the daily feature, and now 15% of the sale will be donated to the Resolve campaign to end homelessness. And you’re also entering to win an Ultimate Spa Kit, valued at over $1000. It’s an amazing gift pack stuffed full of the world’s finest and most luxurious skin and spa products, bath linens and other goodies! The more you take part, the better your chances of winning. Enter as many times as you can! So let’s get going! Play now and play often!